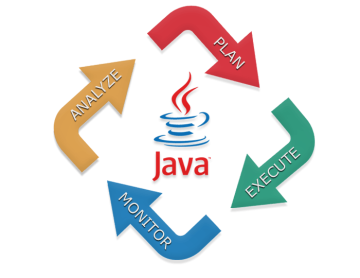 Java is regarded as the most flexible and robust programing language as a platform for complex computing. Sun Microsystems takes the whole credit for its introduction in the year 1995. It is the perfect open source platform helping business and governments redefine the entire IT process and infrastructure using disruptive technology. OdiTek is your efficient and cost-effective platform for getting highly sophisticated java web applications developed for every enterprise scale. We offer agile methodologies to automate your entire development process with the mission of achieving our vision of reducing your significant development efforts up to 30-40 percent with ease. Drawing on our vast experience and skills in Java technologies, we develop robust software solutions and enterprise applications. We help our clients select the right Java architecture and apply best practices and methodologies across the life of the solution. Our experience spans building software-driven products, services, systems and platforms at speed using modern tools, engineering processes, and delivery practices. We have helped over 100 customers with their software initiatives across the spectrum of software engineering, user experience design, testing compliance & assurance, and managing their cloud operations. 2- SOFTWARE TESTING, COMPLIANCE & ASSURANCE. The demand for Java skills is soaring, creating a boom for programmers and causing headaches for employers and IT directors. Java is now the second most sought-after skill in the IT recruitment market, according to Computer Weekly's Survey of Appointment and Trends. Demand for the five-year-old language is second only to C++. OdiTek has some Java developer with more than 5 years experience and the following skills. Java Keywords - Static, Final, volatile, synchronized, transient, this super etc. It’s as true that our Java developers as it is for woodworkers: You can’t do the job right without the right tools. Fortunately, there are plenty of Java tools designed to make it significantly simpler to write good Java code — and help you make your Java code even better. Eclipse:Open-source integrated development environment (IDE). If you could have just one tool for Java development, Eclipse would be a good choice. IntelliJ:IDE made by JetBrains, available in an Apache 2-licensed community edition and a commercial edition. IntelliJ provides similar features to Eclipse, with a smooth, developer-friendly experience. YourKit:Java profiler. Combines powerful analysis capabilities, on-demand profiling during both development and production, free embedding into production, and seamless IDE and application server integration. Clover:Code coverage tool from Atlassian. Runs in your IDE or continuous integration system, and includes test optimization to make tests run faster and fail sooner. Mockito:Mock library. Open-source testing framework that enables the creation, verification, and stubbing of mocks. Hibernate:Object-relational mapper. Implements the Java persistence API. VisualVM:JVM monitor. An all-in-one Java troubleshooting tool that comes with the JDK. JUnit:Unit test framework. Core tool of test-driven development that enables repeatable, white-box testing.